1. 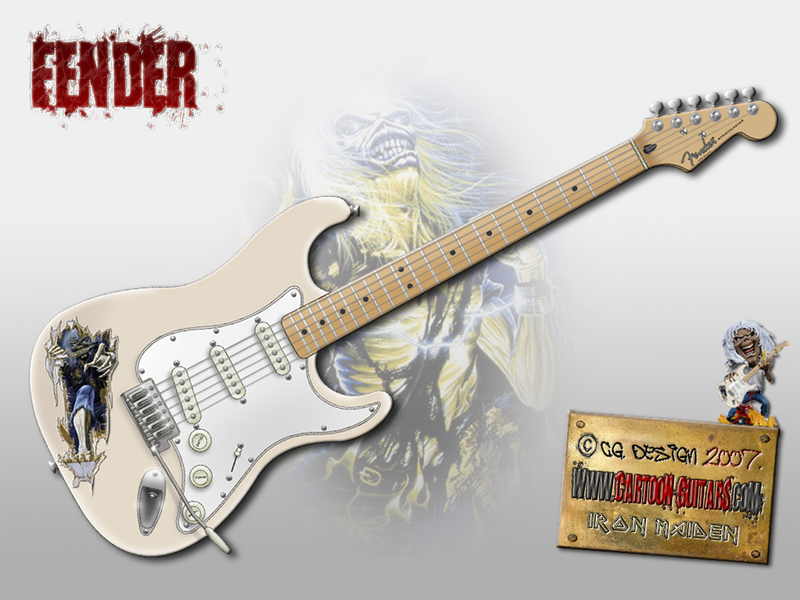 Are you a guitar builder? Do you make real guitars? -	No, I'm not a guitar builder, I only DRAW illustrations of any electric or acoustic guitar you want. 2. So can you draw illustration of my own guitar that I have if I send you photos of my guitar? -	Yes, I can. This is a purpose of this website. You just need to send me some good photos of your guitar that you have at home, or just and exact guitar brand, model and body colour, so I can find some photos of your guitar on my own, and I will draw illustration of your guitar or any guitar you want. 3. What if I have a unique guitar body design. Can you draw such a unique guitar for me? -	Yes. All I need is your sketeches or drawings of your unique design, and I will make you an exact illustration of such a unique guitar. 4. Will you draw my guitar illustration for free? -	No, there is a fee for my work of illustrating a guitar. Contact me for prices. 5. How can I pay you for illustration that you are making for me? -	You can pay me on my PayPal or Moneybookers account. It is safest and fastest way for you to pay me. 6. How and when I will recieve my illustration? -	You will recieve your high quality JPEG file by e-mail soon as you make your payment on my paypal or moneybookers account. 7. Can I use this illustration to make myself a t-shirt, or a large poster? -	Yes, you can. Illustration is highest quality 300DPI JPEG file which you can use for printing very large posters and prints, but only for your own usage. Any kind of further reselling or commercial use is forbidden, because there are trademarks and logos, which are copyrightet and all rights belong to their respective owners. For further selling, you can use illustrations without any trademark or logo on guitar. 8. If I want for you to draw my guitar, or any other guitar, which JPEG filesize do I get? -	You get biggest available JPEG filesize which is 4070x10000px(35x90cm or 13x35 inches). If you need even bigger file, contact me. 9. May I use your guitar illustration for commercial usage? -	No, you may use it only for private non-profit and non-commercial purposes, unless we have different agreement. Illustrations which you intend to use for commercial purposes cannot have any brand or logo on guitar illustration, since they are protected, and all rights are reserved to their respective owners. 10. Can I publish any picture or artwork available on Cartoon-Guitars.com on my website or blog without asking you? 11. Are your guitar wallpapers free or I need to pay for them? -	No, my guitar wallpapers are absolutely free for download. 12. May I publish your free wallpapers on my website, blog or social networks? -	Yes, you can use and publish it but with certain restrictions. You can not change any of my wallpapers in any way, you can not remove my signature from it, or use it in any commercial way. That is not allowed.